In association with TPF liberal collective, we’ve got together to produce a liberal prepper’s survival guide in case of a man-made disaster like having to work, or being refused food stamps. Previously, this was in the realms of conspiracy theory, but reports are already coming in of de-populated safe spaces, cut backs in the People’s Liberation army of BLM and ANTIFA and in our own investigation, we found instances of liberals so traumatised by Trumps election they could no longer explain why. Join your local anti-employment draft collective and burn your tax return form. The good news is that businesses are leaving California in droves, so thankfully you may be the first generation never to be called upon to serve as taxpayers. In a recent study by ‘Snowflakes R US’, it was estimated that 99 out of 100 workers died before reaching the age of 90 and so capitalism really does kill. Follow Pelosi’s advice, 'Obamacare allows you to quit your job and become 'whatever.' You won’t have time to think about what you want to be if your busy working at what you don’t want to be, but haven’t the intelligence to rise above a wannabe. Stay a 'whatever' and don’t self-harm by paying taxes to keep the other whatever’s. In the event of a collapse, stay indoors. Roaming the streets will be gangs of taxpayers wearing MAGA hats and looking to fill factories with workers. 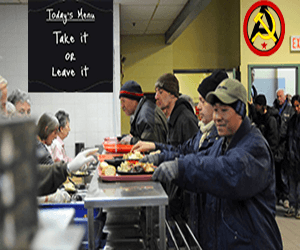 You will be offered money or even a minimum wage, but in return be forced to pay for your own food and accommodation and the UN won’t be around to help you with this human rights abuse. In the event of an emergency use tap water for drinking and always keep your social worker’s number handy in case there’s no water. If you have any spare non-GMO, organic, gluten free food now is not the time to think of equality and always keep your EBT cared in a safe place. Remember, it’s going to take time to get big government set up again and regulate the amount of freebies to enable you to survive again in comfort. Plant tins of food and grow your own. A common mistake is to plant the tin upside down and that’s why it doesn’t work. If planting a tin of beans avoid the mistake of upside down planting and make sure it says 'Original baked beans' and not 'suɐǝq pǝʞɐq ןɐuıbıɹo'. Don’t forget to put a hole in the lid of the tin and water regularly. We’ve not tested this on food stamps yet, but California provides the ideal climate for growing freebies. Ideal for those occasions when you just can’t be bothered working, or because there’s something you need to watch on TV. Join our TPF liberal socialist collective and learn how to eat for free in our, 'Vote twice for me and get it free' seminars – as endorsed by Hillary Clinton. Defence (When the going gets tough, the tough get going). 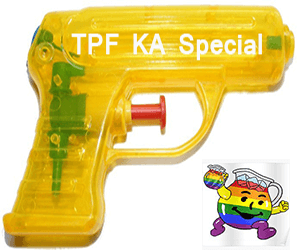 Prepare for violence with our new range of semi-auto KA Specials (illustrated). When loaded with Kool-Aid, these weapons are devastating at a range of five feet. Magazine capacity - one cupful and also available in a range of pretty colours. Get your revenge on society by making it drink the same Kool Aid Obama gave you. No liberals were offended or made to work in the making of this thread. Last edited by Pork Chop; 07-18-2018 at 09:13 AM. 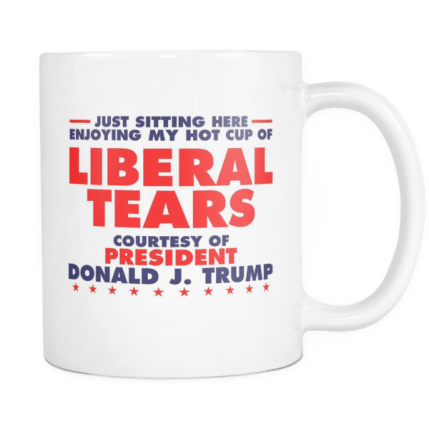 Can I have a bit of sugar in my cup of liberal tears, please? I'd like to shout out special thanks to Obama too! Did you know? EBT can be used to purchase plants or seeds that produce food? I bet that is 1/100th of a percent of EBT sales. Yes, I'll bet there are plenty of plants being produced! Next one is Nostradamus Pork Chop predictions. Last edited by Pork Chop; 07-23-2018 at 08:57 AM. Always has been and makes perfect sense. I used to watch people come in the feed store and buy seeds with paper stamps.